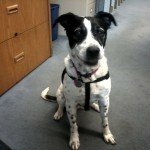 We recently adopted a 40 lb, nine year old pointer-mix from the San Diego Animal Shelter (with no info on her background) and needed help seeing how she was with socialization and training. Our dog had been very well trained by someone and has a sweet disposition, but has trouble being over-excited/anxious when meeting new dogs. Some good friends mentioned Julie, and we realized we knew Julie from our neighborhood where we’d seen her running and walking her own dogs for years. We immediately cancelled private training with a big pet store chain and got in touch with Julie. We were thrilled that we could work right in the neighborhood in real situations, with someone we felt comfortable with. We had three sessions with Julie and learned valuable lessons for interacting with other dogs and also tips for avoiding leash pulling. Our third session was a dual lesson with our good friends (who’d recommended Julie) and their little terrier, whose only previous interaction with our dog was to nip her nose. Julie worked with us as we walked the neighborhood with both dogs, ending with the dogs in our backyard and quite comfortable. Amazing! Since that session, we’ve gotten the dogs together a few times for walks and just a couple days ago, we brought our dog over to see her terrier friend in his yard and everyone was just fine, something we previously thought might never happen. 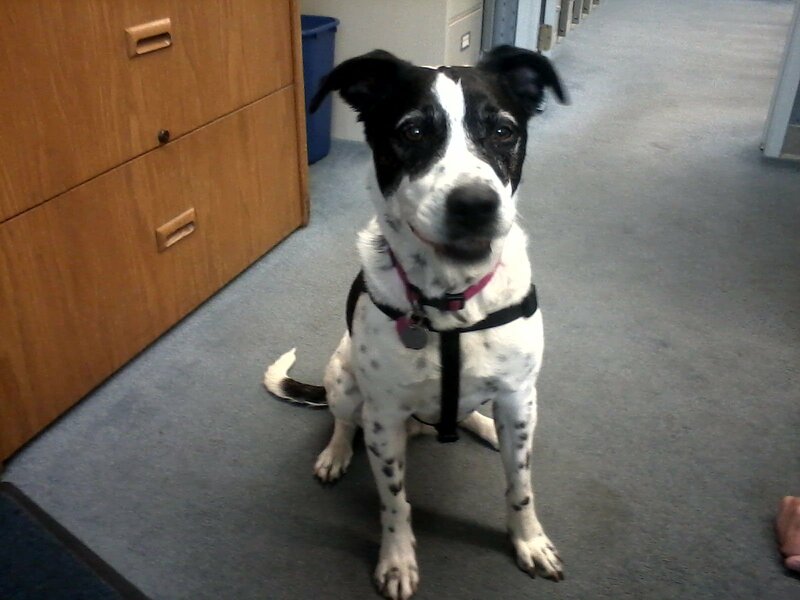 Thanks to Julie, we have the training and tools we need to feel confident in all our doggie interactions. Thanks Julie!